On November 22, 2014, B'nai Havurah will acknowledge the yahrzeit of Mordecai Kaplan at our Shabbat services. We present, below, some liturgical modifications, created by B'nai Havurah member Ed Towbin, for review prior to the services. By posting some of prayers and rationale behind them, members and guests will have the opportunity to preview the texts for familiarity and content. The prayers are intended to fit comfortably with the traditional texts, and people may decide beforehand whether they want to use the modified or the traditional as found in our prayerbook, Kol HaNeshamah. Curious about Mordecai Kaplan and want to learn more? Please visit the Bnai Havurah Library on-line! Our library is open whenever B'nai Havurah is open. 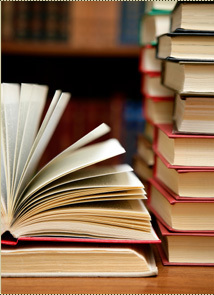 We have an excellent collection of books and videos - available for check out! 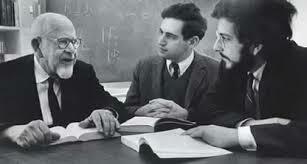 Kaplan in conversation with Rabbinical Reconstructionist College (RRC) students.